I’m kicking off this week with a much needed, new beauty post! 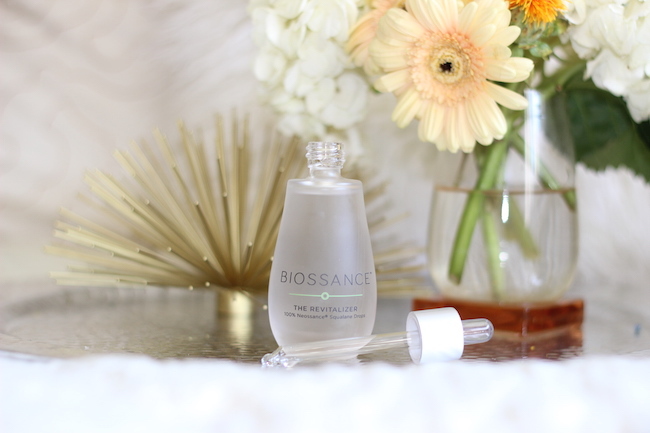 If you follow me on snapchat, then you’ve already gotten a quick look at this skincare product from Biossance that I have been using for the past month. It just recently launched and has become a great addition to my morning and night time routine. I have mentioned in previous posts before that my skin is normal to dry [depending on the season] and I also have dermatitis that frequently breaks out on my legs and sometimes, my arms. Not fun! It’s extremely important for me to keep my skin moisturized and as hydrated as possible, especially during the summer months. 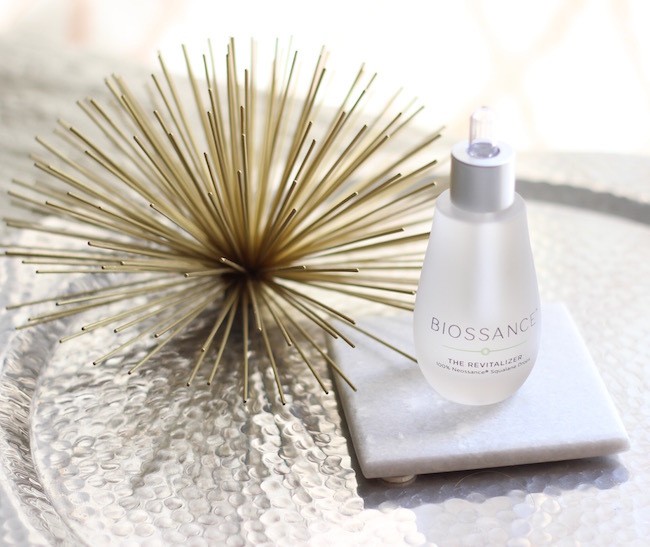 The Revitalizer from Biossance is a plant-derived moisturizer that replenishes your skin by using a moisturizer that is found naturally within your body. It instantly hydrates while locking in essential moisture. By doing this, it restores your own biological beauty. This is probably what intrigued me the most. Since my skin can be sensitive at times, I need to pay close attention to the ingredients that I am using. I love that this has a natural element and that it’s been Dermatologist tested. I must admit that I’ve never really used any beauty oils until I tried this out. I was a little hesitant at first, but definitely pleasantly surprised! It says to add 2-3 drops to your cleansed face, neck and body, but I actually apply 4 drops. I also put this on my dermatitis and it’s really helped to soften up those rough areas of my skin. I apply these drops to my face after showering in the morning and before going to bed at night. It doesn’t make my face feel greasy and it even helps to add a natural dewy glow. You can also add in an extra drop to your moisturizer or makeup for extra hydration. It can be used on your cuticles, which I have done a few times and it can also be used as a hair serum to tame those flyaways. Most of the time when we hear the word, “skincare,” we immediately only think of our faces, but we can’t neglect the rest of our bodies. I love it when one product has multiple purposes. This also only takes a minute to use and you can even bring this bottle with you on the go in your purse, which I have done before. 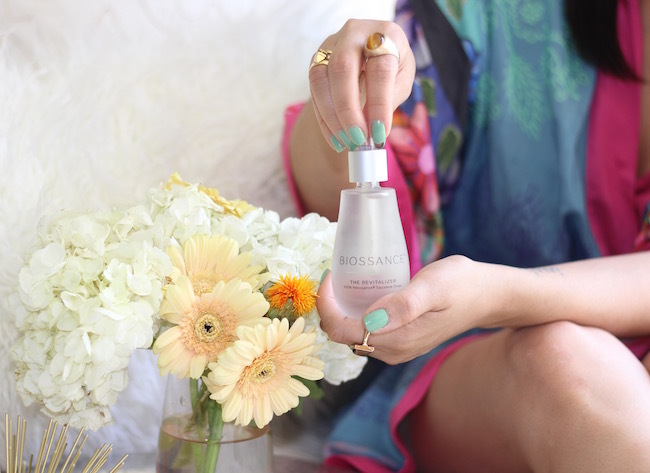 Whenever I feel like my skin needs a quick hydration boost, I apply a few drops. Thanks for checking out today’s post! Let me know if you have tried this out or heard of it. What tips do you have for keeping your skin hydrated? 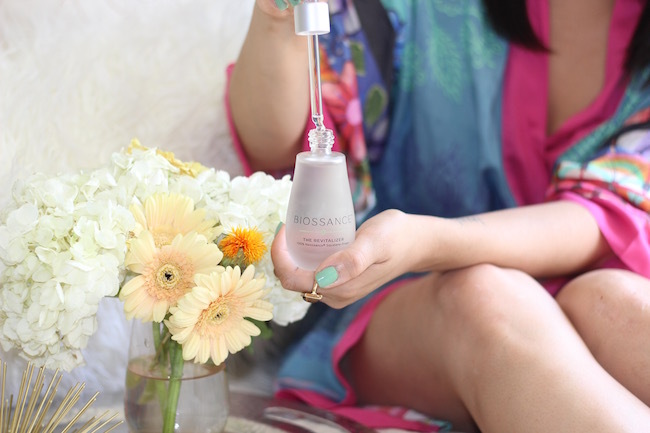 This post was sponsored by Biossance, but all opinions expressed are my own. This has not beed edited by any third parties. Thank you for supporting the brands that support A Love Affair With Fashion! I've been so curious about this product. Thanks for the review! I may need to give it a try!